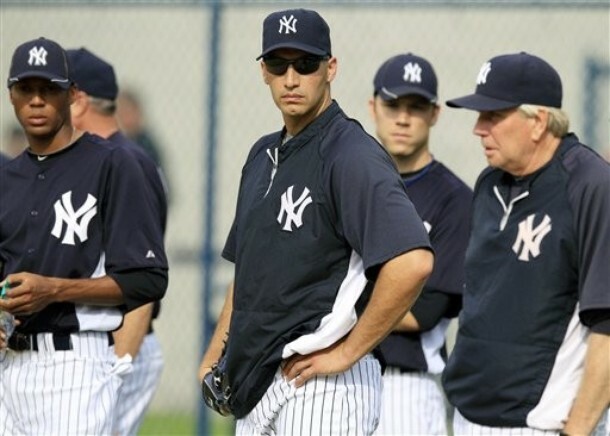 Above Andy Pettitte at same practice drills before Phillies-Yankees exhibition game, 3/30/12, ap. Update 4/3/12, Now they're saying Pettitte will pitch one inning in the Wed. 4/4 Mets game. 68 in regular season, 11 in post season.